View of the Jezreel Valley from Kibbutz Yizrael. It’s springtime and the Jezreel Valley in Israel’s northern Galilee region is an emerald green. 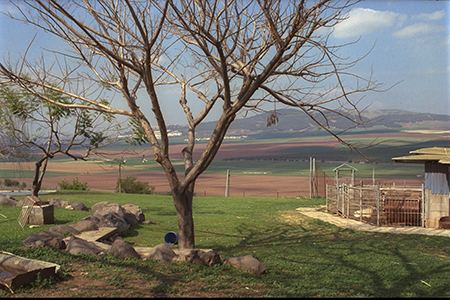 In the heart of the lush landscape sits Kibbutz Yizrael, named for the valley. The kibbutz—celebrating its 70th birthday along with the state—was established as an agrarian collective by demobilized soldiers from the Palmach, Israel’s pre-state militia, after the War of Independence. 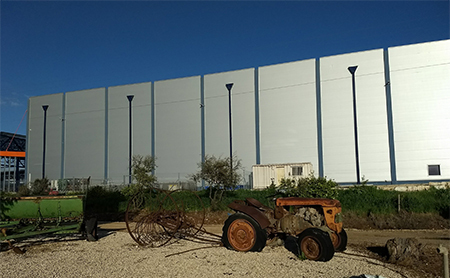 Across from the kibbutz parking lot and dwarfing a corrugated metal cowshed sprawls a 323,000-square-foot factory that makes pool-cleaning robots sold across the globe. That cowshed is a potent reminder to every factory worker and kibbutz visitor of Yizrael’s agricultural past. The founders of Yizrael and other kibbutzim—Degania was the first, established in northern Israel in 1909—formed their communities as an expression of their socialist and Zionist ideals, featuring communal dining halls, equal apportioning of economic resources and working the land. Today, the massive factory adjacent to the cowshed represents the present and future for the bucolic community of 570 people. The building serves as the headquarters of Maytronics—an economic powerhouse founded in the mid-1980s whose majority shareholders are the members of Yizrael. Valued at $2 billion, Maytronics dominates the robotic pool-cleaner market from the United States to New Zealand. The robots can be seen scrubbing the historic municipal pools in Paris as well as those in Disney resorts in Orlando, Fla. The Maytronics Factory. Photo by Dina Kraft. Maytronics is one of about 20 multinational businesses operating on kibbutzim today. Along with Caesarstone on Kibbutz Sdot Yam, Palram on Kibbutz Ramat Yohanan and others, these multinationals are worth billions. Started to supplement the income from farms and dairies, the companies have grown from small manufacturers to public corporations listed on exchanges in Tel Aviv, London and New York. There are many types of kibbutz-based businesses in Israel, in industries from fashion to high tech. In the 1960s, most of the 260 kibbutzim scattered throughout Israel realized they had to transition from a purely agrarian model, and, after an economic downturn in the 1980s, many also had to change internally from socialist-based experiments to capitalist cooperatives with privatized community services. What distinguishes Maytronics and the rest of the multinationals from other kibbutz-founded businesses is not just their economic success, but that these enterprises have allowed the kibbutzim where they are located to hold on to some of their foundational spirit. Shulamit Witelson, 60, the manager of Yizrael, acknowledges the role Maytronics plays in maintaining the commune’s socialist infrastructure: “Without Maytronics, Kibbutz Yizrael would not exist as it does today,” she says, sitting in her office. In 2017, Yizrael’s income from shares in Maytronics, combined with leasing land to the company, totaled $108 million. That represents about 83 percent of the kibbutz’s annual income, which contributes to everything from “budgets,” the term for members’ uniform monthly salaries, to upkeep on homes and communal buildings, such as Yizrael’s large dining hall, open daily for breakfast, lunch and dinner. The income also allows Yizrael to undertake innovative programs, she says, including a music school, workshops for the restoration of ancient artifacts and Judaica and seed funding for new business ventures. Hangzhou Sports Stadium in China. A painting of the Jezreel Valley hangs on one wall of Witelson’s office. The other walls are covered with black-and-white photos of the kibbutz’s earlier days—a tractor in the fields, a picture of the first nursery school. “The foundational ideology of a cooperative kibbutz is that every person gives to the best of his or her abilities and receives according to his or her needs,” she says, and so far they have been able to stay true to that ideology. At Ramat Yohanan, 30 miles north of Yizrael, Ido Rodnoy, 56, has no qualms about the presence of Palram, a thermoplastic sheet manufacturer, on his kibbutz. “It helps us remain a shitufi, a collective,” he says of the company he serves as CEO. Established in 1963, Palram creates windows and panels for the construction industry. 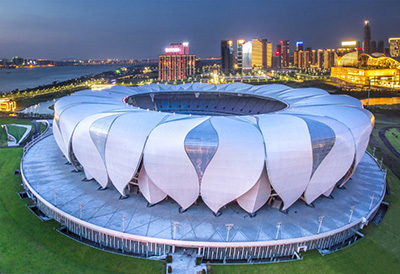 In 2017, the company’s designers helped create the petal-like roof panels with aluminum joiners designed to withstand typhoon winds for Hangzhou Sports Park in China. Rodnoy is rare in that he is a member of the kibbutz as well as head of its major source of income. The trend at most kibbutz-founded businesses has been to hire top leadership from outside the collective and separate the management and finances of the two enterprises. In many cases, the kibbutzim remain majority shareholders with representatives on the board of directors, giving input and guidance on major decisions. 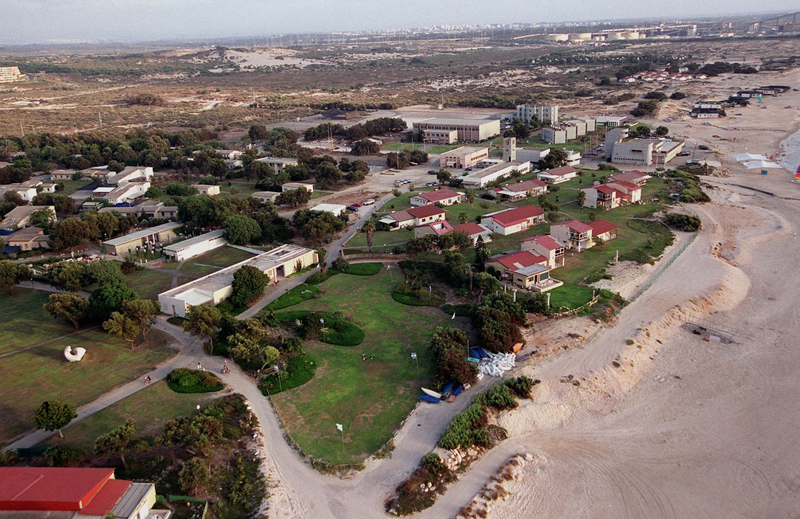 Aerial view of Kibbutz Sdot Yam. Yizrael has a committee that deals with kibbutz industries, which, in addition to Maytronics and the almond orchard, includes a dairy farm. It also rents property to a business that breeds ornamental fish. Several years ago, Witelson recalls, Maytronics’s board was considering an offer to sell to an American company and presented it to the committee. “The kibbutz committee met and rejected the proposal,” she says. Along the Mediterranean coastline in northern Israel, a looming sign reading “Caesarstone” appears on a two-lane road, long before the beachside kibbutz that started the business comes into view. The company, which has been Kibbutz Sdot Yam’s economic lifeline for decades, is perhaps the kibbutz-founded business that is best known in the United States, at least for those looking to redo their kitchen or bathroom. Caesarstone manufactures and sells engineered quartz for countertops, flooring, vanities, wall cladding and other interior surfaces all over the world. Their list of celebrity clientele includes designer Tommy Hilfiger, actors Neil Patrick Harris and Courtney Cox and two of the Kardashian sisters, Khloé and Kourtney. Sdot Yam, founded in 1936, originally based its economy on fishing but today boasts a banana plantation, avocado trees and cattle. Members opened Caesarstone in 1987 in a risky attempt to update and renovate their failing terrazzo floor-tile factory, using new and untried technology to produce thinner, lighter and stronger flooring material. Today, Caesarstone has two factories in Israel, the largest of which is on the kibbutz. A third factory is located in Richmond Hill, Ga. The company—with subsidiaries in the United States, Canada, England and Singapore—employs 1,500 workers worldwide, with 700 in Israel, 58 of whom are kibbutz members. Caesarstone’s kibbutz headquarters includes a warehouse; an R&D division; and a lot where the newly made slabs await pickup. It’s a major logistical exercise to navigate the stream of trucks coming in and out to deliver the product to the port in Haifa. 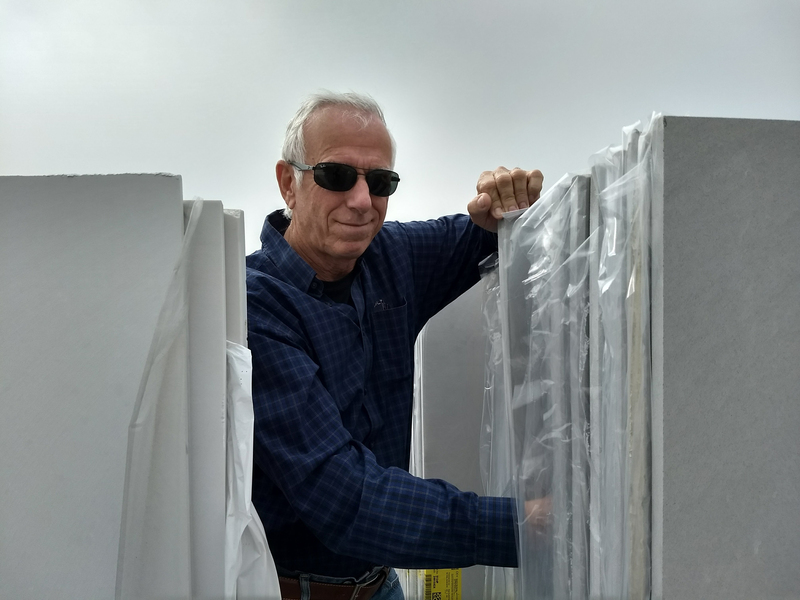 “And then they get sent out around the world—to Australia, the United States, South Africa, China, India, Europe, New Zealand, South America,” explains Giora Wegman, 67, deputy CEO of Caesarstone and himself one of the 460 members of the kibbutz, as he walks past the trucks. He continues into the factory, crossing a floor humming with the sound of machinery at work. Safety signs are written in Hebrew and Russian—a good number of the workers are immigrants from the former Soviet Union. Quartz is blended with polyester and pigments, poured into molds and then fired in kilns. Then the mixture is compacted into slabs by a vacuum and vibration process. The slabs are then moved to a curing kiln where the cross-linking of the polyester is completed. Lastly, the slabs are gauged, calibrated and polished to enhance shine. The path to Caesarstone’s success was far from smooth, says Wegman. In the year after the company was launched, it owed so much money that repossession companies sent agents to shut down the factory and seize equipment. In 1994, an outside manager was brought in, along with non-kibbutz employees, and things began to turn around. When Caesarstone went public in 2012, the sale of shares brought in millions of dollars that the kibbutz used for infrastructure projects, such as building new neighborhoods for its growing population of Israelis attracted by Sdot Yam’s prosperity. Funds were also used for pensions and distributed to individual kibbutz members. Sdot Yam now owns 30 percent of Caesarstone. Shochat, 58, enjoys her life on the kibbutz. With her “windfall,” she expanded her home and garden. Three of her children and their families also live on the kibbutz, and she has a son in the United States who works at the Caesarstone factory in Richmond Hill. Most young adults stay on the kibbutz, finding jobs in the factory or nearby. The security that Caesarstone has given her, she says, is something her parents, who helped found the kibbutz, could likely never have imagined. 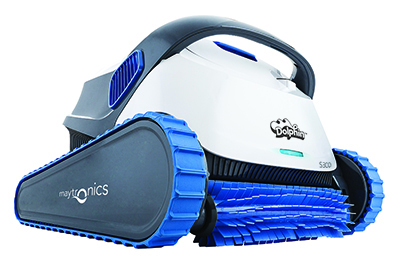 Maytronics’s robot was the brainchild of a South African member of Yizrael who recalled that an engineer from his former country had created a prototype for a pool-cleaning robot. The kibbutz raised money to buy the prototype—and the rights—in Johannesburg and fly it back to Israel. They called the squat pool-cleaner the Dolphin, to imply that it was friendly, smart and perfect for a watery environment. “People really connect to them, even give them names,” Tryber, 52, says, sitting at a round conference table in his office next to a flat screen used to conduct video conferencing with Maytronics’s subsidiaries. Today, the company that emerged from that prototype has over 120 pool-robot models. Its R&D department, also located on Yizrael, has developed smartphone controls for some models and an app that can diagnose and repair problems. Maytronics went public in 2004 and employs 650 workers in Israel—50 of them kibbutz members—split between the kibbutz factory and another one close to Safed. Tryber notes the astonishment among the world when he describes the company’s history. Visitors to the company’s headquarters often have the same reaction, he adds, remarking on the incongruity of the outsized factory nestled in a rural setting. Dina Kraft is a Tel Aviv-based journalist and a staff writer for Haaretz. Please forward your importer distributor price list for your dolphin pool cleaners. cleaners from China. We have been looking for a product for that new warehouse to distribute.